Pouya Shafipour, MD, in Santa Monica, California, is a board-certified family medicine specialist with subspecialty training in a field of medicine known as bariatric or obesity medicine. He uses safe and effective medications in conjunction with dietary, nutritional, behavioral, and exercise counseling to manage obesity and medical conditions related to excessive weight gain or loss. 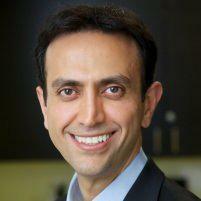 After finishing his residency, Dr. Shafipour pursued his passion in obesity treatment. Through extensive training by the American Society of Bariatric Physicians and the prestigious Harvard Blackburn Obesity Course, Dr. Shafipour has developed a program that focuses on healthy weight loss and a well-organized maintenance program. His program results in weight loss and maintenance of a healthy weight through a multi-level, personalized approach to dietary and lifestyle transformation. Dr. Shafipour received his bachelor’s degree in molecular and cell biology from UC Berkeley, then continued his graduate studies and received a master’s degree in physiology and biophysics from Georgetown University. He later attended Loma Linda University School of Medicine, where he received his MD in 2003. He completed his internship in general surgery at UC Irvine and residency in family medicine at UCLA and became board certified in family medicine in 2008. During a peak performance health and lifestyle coaching conference in 2004, Dr. Shafipour discovered an interest in lifestyle transformation. Following the conference, he personally took some radical measures and transformed his way of eating and implemented daily exercise into his life. The impact of this transformation encouraged him to further pursue incorporating the idea of a sustainable, healthy lifestyle into his practice of medicine. Dr. Shafipour continued his training in bariatric medicine by taking courses offered through the American Society of Bariatric Physicians. Dr. Pouya Shafipour is a board certified Family Medicine Specialist with subspecialty training in a field of medicine known as Bariatric or Obesity Medicine. After finishing his residency, he pursued his passion in obesity treatment. Please leave a review for Dr. Shafipour and his staff! CLICK HERE to visit our testimonials page, and click "Leave a Review"
Rated one of 2015's top Los Angeles Family Medicine practices. Congratulations Dr. Shafipour! This young gentleman presented with uncontrolled high blood pressure despite being on 3 prescription medications, fatty liver, kidney disease, severe arthritis and sleep apnea. He followed a low calorie Zone type diet and over a period of a year was able to lose 160 lb of which over 60% is fat loss. Post weight loss is off of all but one low dose blood pressure medication, fatty liver, kidney problems, and sleep apnea have resolved. This young gentleman is an avid cycler who followed a low carbohydrate ketogenic diet and over a period of 5 months was able to lose close to 40 lb. of weight of which 34 lb. was fat. This young lady presented with high blood pressure, high cholesterol levels and feeling tired. Through a low carbohydrates, ketogenic diet, she was able to lose over 20 lb. of weight of which majority was fat. This young lady presented with weight gain, fatigue and high cholesterol levels. through a low carbohydrate ketogenic diet, she was able to lose over 25 lb. of fat and avoid getting on a cholesterol lowering medication such as lipitor. Dr. Pouya Shafipour and his team continue their involvement in the medical community.